Looking for a destination which has a warm climate, miles of beaches, great attractions plus something new and unique to discover? Do you want to tread in the footsteps of giants, and see wildlife which lives up to the name? Would you like all this, then still be able to go back to a luxury hotel? A holiday in South Africa ticks all these boxes and more. The Rainbow Nation, as it’s sometimes called, is filled with breathtaking natural beauty. 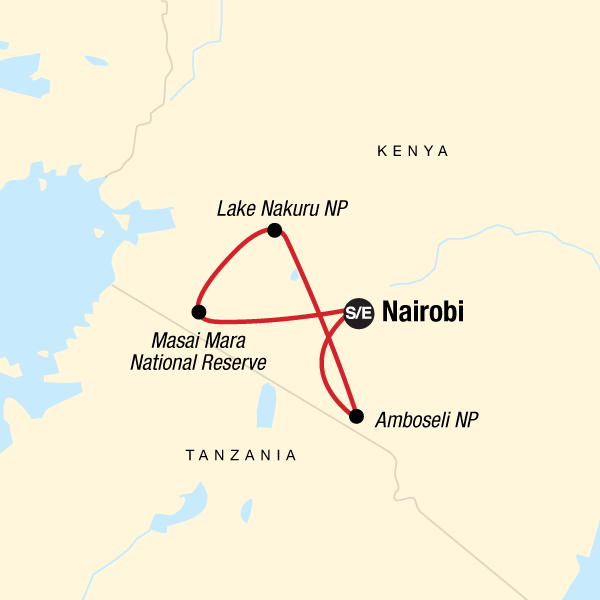 This comes in the form of its incredible geological diversity as well as captivating wildlife. It’s home to the Big Five of African safari’s and is one of the best places to spot them. Lions, elephants, leopards, rhino and buffalo all call South Africa home. You’ll get the chance to see these majestic animals in their natural habitat. It’s also the perfect destination for a luxury holiday. You’ll find it filled with incredible tourist spots, ultra-modern hotels and premier resorts. In fact, you’ll love the wide range of attractions that are available to suit every kind of holidaymaker. From those looking for family fun and lovers of the great outdoors, to sun worshippers, foodies, thrill seekers and culture vultures. From bustling cities like Cape Town and Durban to the splendid game reserves, mountain retreats and picturesque coastline, this is the perfect place to explore. Visit Johannesburg, the largest city in South Africa and a fantastic spot for shopping. It was once home to Nelson Mandela and Desmond Tutu, with Mandela’s former residence now a museum. Or if you’re looking to sit back and relax, check out the beaches and spa hotels. Whether you’re in South Africa’s exciting cities, coastal drives and national parks, there’s something here to appeal to everyone. 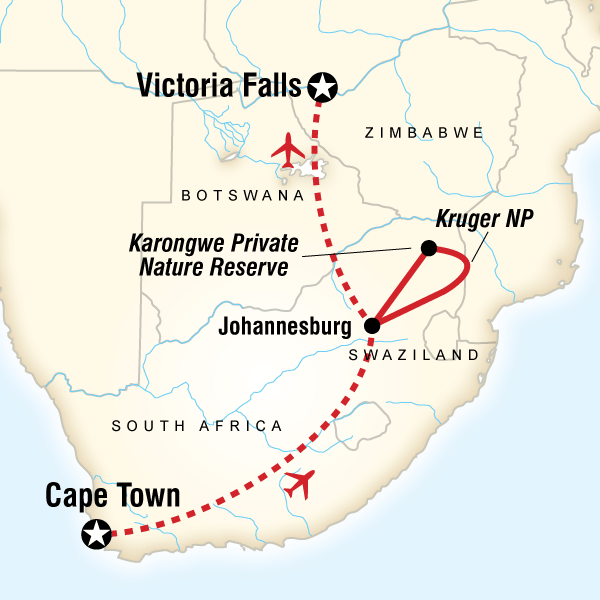 Why not try a tour around famous Victoria Falls, or one of the country’s nature reserves or game parks? It’s the best place to spot lions on your own personal safari. Or try a self-drive holiday through the beautiful Cape vineyards. A tailor-made tour allows you to put together all the ingredients you want to include. Just like making a good wine. And don’t miss the opportunity to spend a few days driving the picturesque Garden Route or relaxing in an isolated mountain retreat. However you spend the time on your South African holiday, you’re sure to create incredible and lasting memories. What is the currency in Africa? How long does it take to fly to Africa? What is the best time to visit Africa? South Africa boasts year-round sunshine and a pleasant temperature that is comfortable for both sightseeing and relaxing by the beach. Its situation in the Southern Hemisphere means that South Africa’s seasons are the opposite of those in Europe. It’s also good to note the summer and winter rainfall areas, as these may have an impact on where you choose to visit at the best time of year. If you are interested in safari, the best time to visit is during the dry season between May and October. The Cape and Garden Route are best experienced during the summer months and in particular in February and March. What language is spoken in Africa? South Africa has eleven official languages – Afrikaans, Ndebele, Northern Sotho, Sotho, Swazi, Tswana, Tsonga, Venda, Xhosa and Zulu/ However, English is widely spoken in most areas.